Photo: Confederate Monument in Franklin Memorial Park. 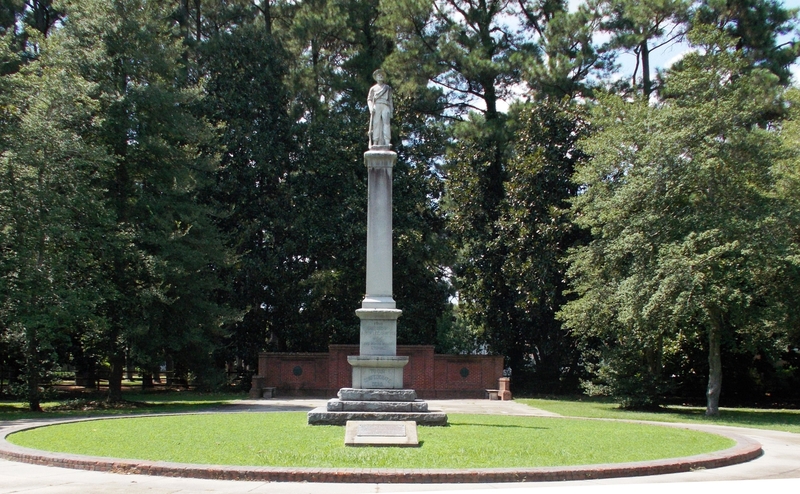 Caption: Confederate Monument in Franklin Memorial Park. Additional Description: The Franklin Memorial Park Monument is pictured in the background. In the foreground is a small stone tablet-topped monument that was installed in 1976 to mark Franklin’s 100th anniversary as a chartered town. Buried beneath is a bicentennial time capsule, dated for opening in 2076.